In the depths of darkness, the rapturous gods of thunderous passion have once more decreed their will; the Blancpain GT Series is to return to the once peaceful Kentish countryside. After a succulent success last year, the Sprint Series will once more grace the tarmac at Brands Hatch. The brutally British Bentley will join the returning marques of Audi, BMW, Ferrari and Lamborghini this year. The weekend will be nothing but spectacular, and there is no better place to watch the action than Stopwatch Hospitality. 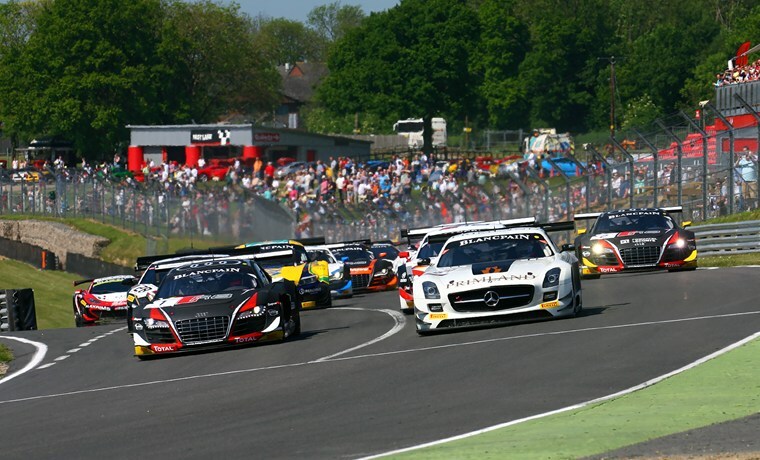 When the Blancpain Sprint series came to Brands Hatch in 2014, no one was expecting such a spectacular weekend of racing. There is no doubt that the Blancpain GT series was something special, but until the eardrums were ringing and the rib cages rattling, no one was truly prepared for what was in store. The Brands Hatch round last year produced the closest qualifying and race finish that was seen all year round. Who would want to miss that? The Blancpain behemoths will be piloted by a selection of some of the best sports car drivers you will see put hand to wheel, including Grand Prix competitors Markus Winklehock and Bernd Schneider as well as rising stars Craig Dolby and Sean Walkinshaw. One of the biggest stories from that weekend was the return of motorsport legend Alex Zanardi, who had previously won two emotional gold medals at the London 2012 Olympics, which had been held at Brands Hatch. To say that the crowd was completely behind Zanardi would be an understatement. Despite some problems across the weekend, Zanardi would finish the main race 5th only 24.579 seconds behind the winning Grasser Racing Lamborghini. The people’s hero, the people’s champion, the people’s inspiration. Even with the monstrous main course, the Blancpain package offers a succulent array of side dishes, including the ever popular GT Cup that had fans captivated from start to finish. Alongside their increasingly popular BTCC campaign, Power Maxed also run the Mini Challenge which will be out in force for your wonderment. The BRSCC Mazda MX5 Championship will too be making an appearance, pitting a full grid made up of a truly iconic sports car against each other. Did we also mention that there will be an immense super car display taking place on race day too? This is not something you will want to miss. 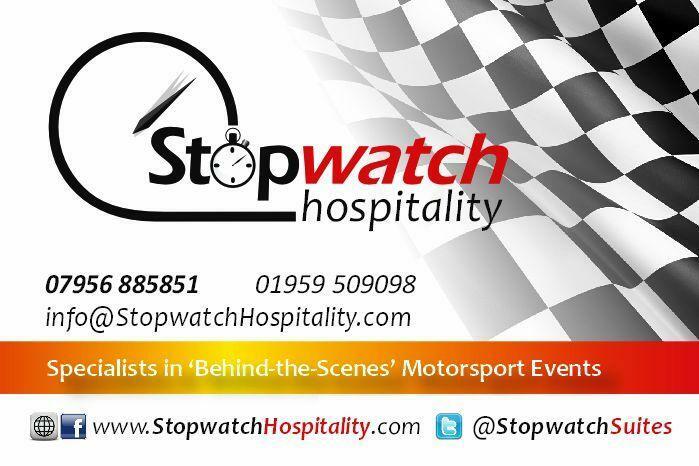 Stopwatch Hospitality offers a race day package like no other, such as unrivalled views of the circuit, interviews and autograph sessions with drivers and a behind the scenes experience to see race teams in action. As an added bonus, guests will witness first-hands the delectable commentary delights of Downforce Radio who will be broadcasting some of the races from the weekend right from the suite! Add on top of that a wide range of complimentary drinks and food throughout the day in the suite alongside multimedia access to Twitter streams and live timing, is there really any other way to spend your day! Full Race day package available for only £75. The only way is Blancpain. The only way is Stopwatch Hospitality. 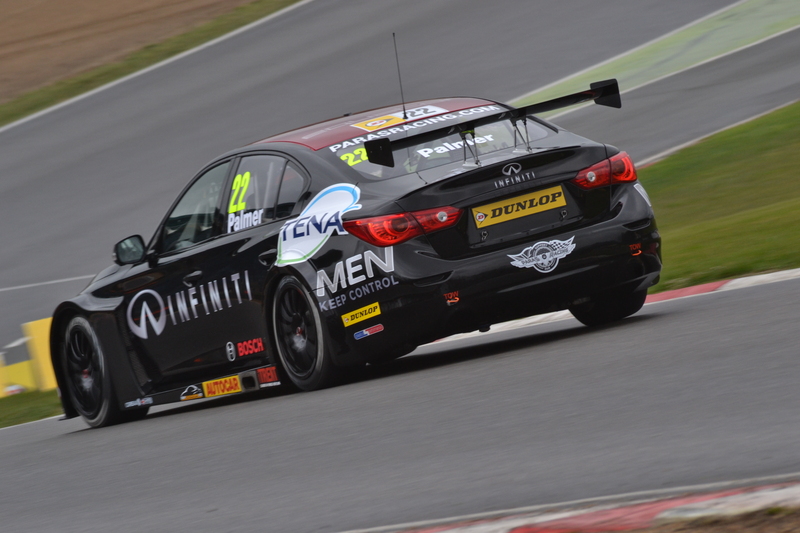 In what can only be described as an explosive return to form, the British Touring Car Championship returned to its majestic form as the cars took to the Brands Hatch tarmac to qualify for the first round of the series. 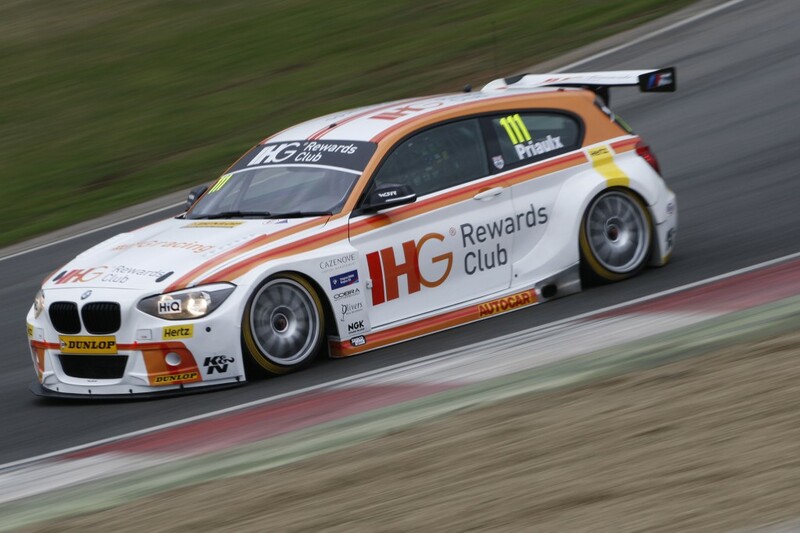 Across the two free practice sessions, there was action a plenty that eventually saw returning touring car legend Andy Priaulx take pole position ahead of the BMR boys. After what seemed like an endless winter the BTCC has returned to the welcoming arms of the British fans. As if almost to continue tradition, my arrival to the timeless Brands Hatch circuit was shrouded in a windy, cold and damp embrace. Throughout the day the teams, fans and commentators were taking their bets on the future of the weather; would the clouds release their race changing moisture unto the tarmac, or would the sun burst through the clouds? As it turned out, the day started miserably and would slowly improve, with the emphasis solely on ‘slowly’. Upon entering the circuit, I found myself walking in on the first free practice session for the touring cars. The combination of the sound of those two litre engines mixed with the familiar smell of petrol and exhaust created an almost homely feel, like seeing an old friend for the first time in a while. 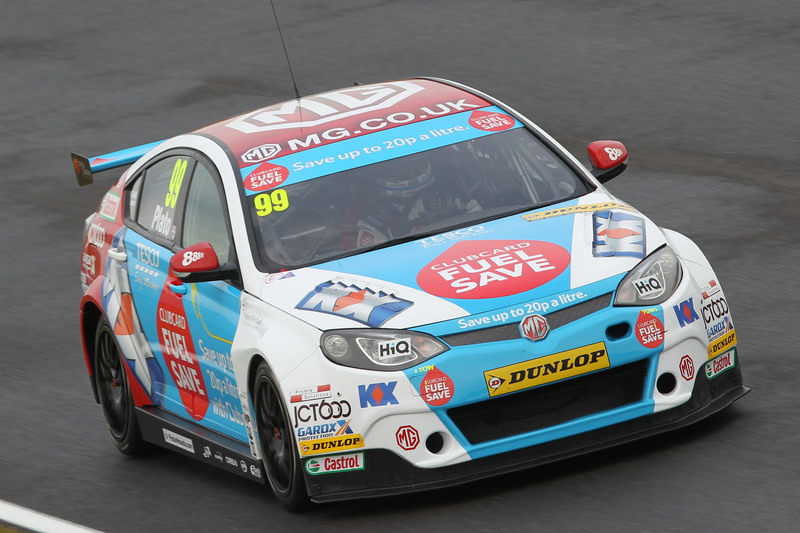 But enough of the emotional stuff, you are hear to read about the BTCC. Across the two free practice sessions there were a good number of surprises; this may have been down to the fluidity of the weather conditions mind you. Of all the drivers, I was most impressed by the skills of Tingram himself. 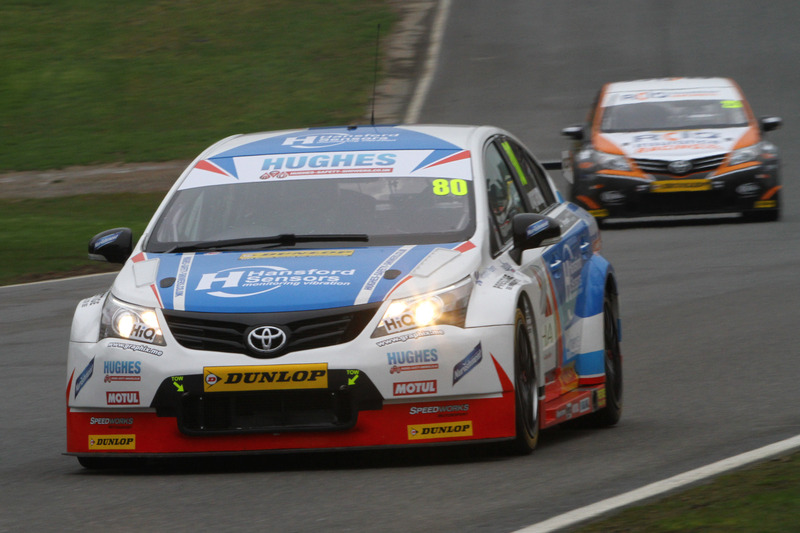 Tom Ingram was absolutely storming during the first two sessions, setting the precedent for the other drivers. While some of the big names appeared to wallow in the mid pack, Tingram and other surprises like Josh Cook were fighting for the top places. For Josh Cook, FP1 gave him a staggering 3rd place, alas in the second an issue with the car stopped him for going out on track. FP2 proved fruitful for the BMR boys, apart from Warren Scott who suffered with what seemed to be a rather loose back end. From my vantage point at Clearways I saw him lose the car several time, almost chucking it away into the gravel. But credit where credit is due, every time he managed to save it masterfully. This was until he lost the car going into Paddock Hill bend and caused substantial damage to the front of the car. Questions were asked whether BMR would be able to put it back together in time for qualifying. The race was on. 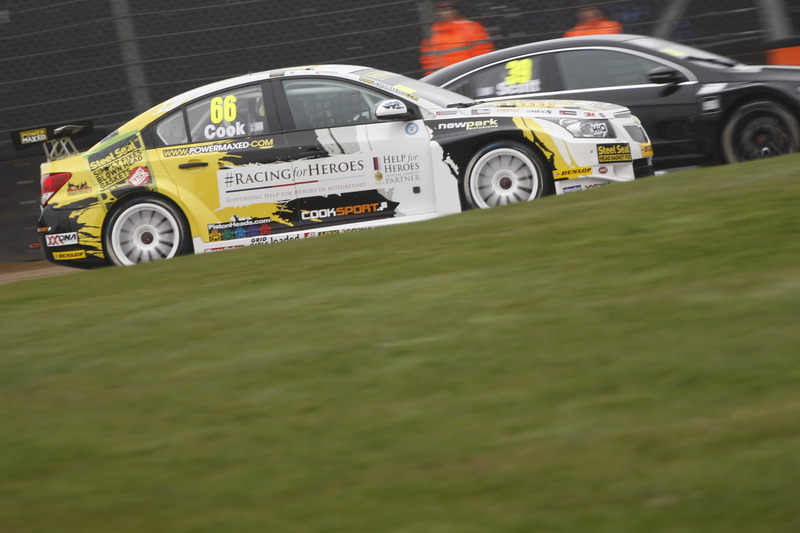 Behind him, the BMR juggernaut dominated the next three places with Smith, Plato and Turkington respectively. I have been wondering how Colin Turkington will be feeling sitting in 4th place while in the distance he sees what was essentially his old car planted on pole. However, it is important to note that this is the first time Colin is carrying the #1 on his car, so he won’t be complaining too much. Weirdly, even though Plato got a solid 3rd on the grid, he has been frustrated with what he says is an ongoing power steering issue. The new look Hondas only managed 7th and 11th for Shedden and Neal, but Neal is confident that the car will bring him race wins and even the championship this year. Seems hard to believe considering he only managed 11th. After impressing in FP1, Josh Cook in the #RacingForHeroes car could only manage 20th after what turned out to be a misfire he had been suffering. So to only be a second off the pace with an engine difficulty is nothing to be ashamed of. The potential he showed earlier in the day would suggest that with the car fixed, strong results will follow tomorrow. And in many ways he may have unwittingly made a good decision, by starting further down the grid, he will avoid the inevitable first corner of the year drama and can power through to the top places. The biggest disappoints for me in qualifying was the Welch Protons and the Infiniti Support Our Paras Racing teams. With Welch out with a broken foot, it was all down to Andy Wilmot to impress in his Proton. Alas, impress he did not. The Proton was very much off the pace for most of the day, managing a days best of 52.665, 4.2 seconds off the pole time. This was almost definitely down to the Welch-built power plant, the same demon that haunted them in the 2014 season. Hopefully they can sort out their issues before the race tomorrow. I was filled with a deep sympathy; Welch Motorsport has always been a favourite of mine and I have long been hoping for them to find their form. 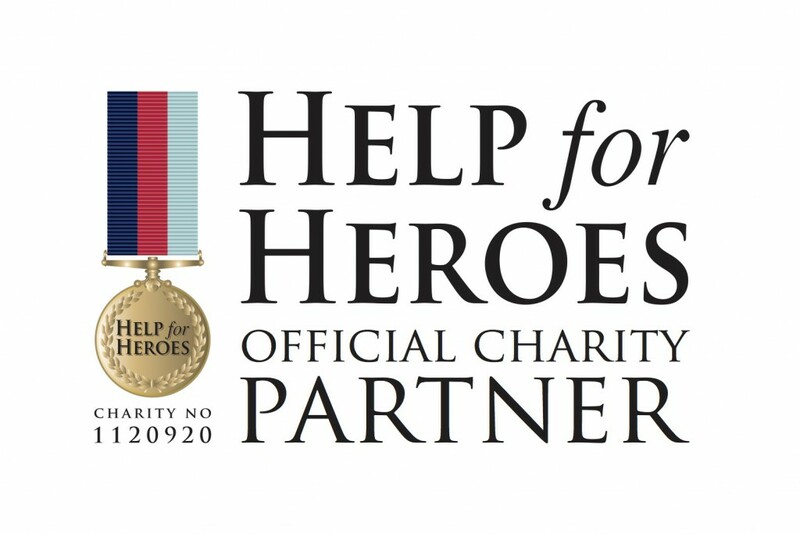 Support Our Paras struggled throughout the day and will line up for the first race 24th. The manufacturer-backed team have been riddled with issues since their inception and have only been able to enter one of their two cars. Considering the media madness that has surrounded them I was expecting a little better, but I guess they can develop over time and ease into the championship. It is a true testament to the championship that the first 20 cars were separated only by 1.1 seconds. For all the cars to be that close shows the genius behind the ever evolving NGTC regulations; one tiny mistake can cost you a whole handful of positions. Aron Smith will end the weekend as the top BMR driver; with all the attention on Plato and Turkington it keeps him out the spotlight to deliver consistent strong results. With the competition improving every year, this may be the time when Honda’s seemingly lifelong dominance is broken and they will struggle to plant their new Civics at the front. I could sit here presenting you my views for as long as I wanted, but until the day is done who truly knows what will happen? The greatest touring car series in the world has returned, and now it is time for action. It’s time to cry havoc and let slip the dogs of war. This is BTCC. It would be remiss of me to open this without an acknowledgement of the terrible fire situation occurring (as I write) in South Australia and Victoria. There’s been stock loss, properties destroyed, vintage cars burnt and, terribly, an animal hostel razed with horrendous loss. Our thoughts are with the families and owners. 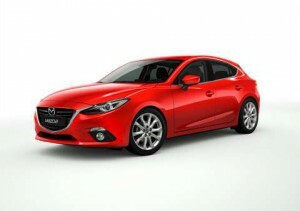 A bit of news that came out of late 2014 that already has affected car buyers was the Free Trade Agreement signed off between Australia and Japan. 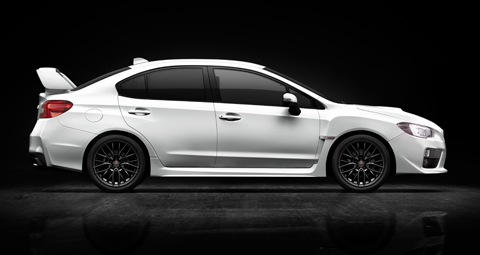 Subaru immediately took advantage of this, by reducing their prices across their range, with savings up to a few thousand dollars being made available. At the time of writing, there was no word if Toyota were planning on doing the same. Even better news for motorists overall was the sudden and dramatic drop in fuel prices, due, allegedly, to an oversupply of oil. The cynics amongst us would question this but there’s an undeniable benefit for metropolitan based drivers. However, it does appear to be mainly restricted to city dwellers only, with nowhere near the drop expected in regional areas. In some areas of Sydney, petrol (E10) was down to below $1.10 but still over 20c higher in regional areas. 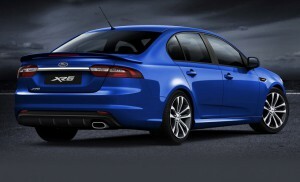 Ford Australia released their final ever Falcon late in 2014; the FG-X has already been given negative reviews in some quarters for its exterior design, balanced out by positive drive reviews, especially for the reborn XR8. 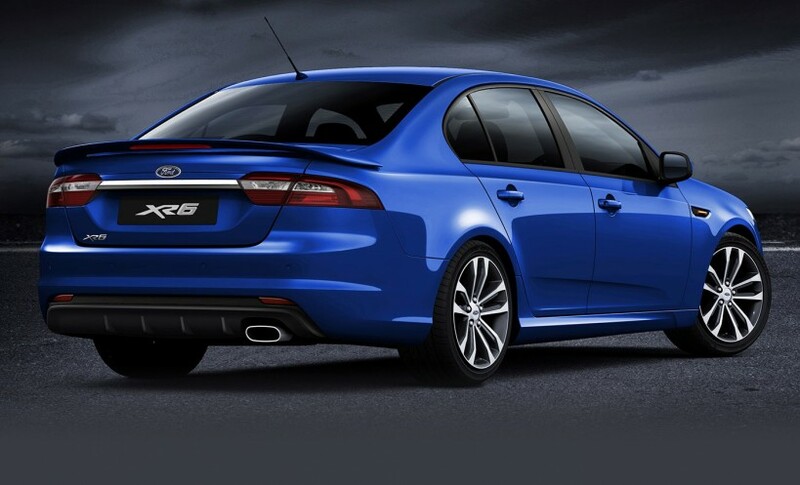 The main complaints in regards to the design appear to be centred around the resemblance to Mitsubishi’s Lancer (itself in dire need of a reskin) at the front and a Jaguaresque rear light cluster. All drive reviews have been nothing but glowing so far…we shall see. 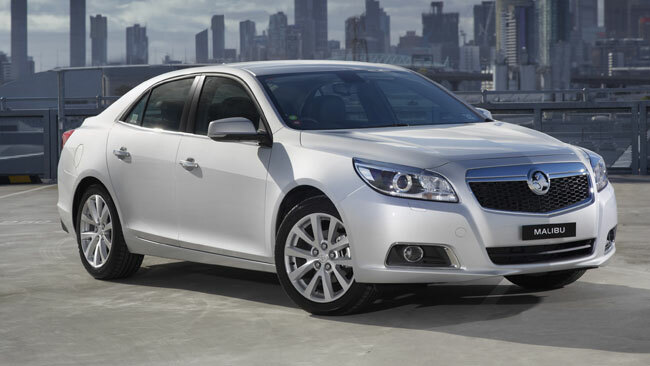 2015 also takes us closer to the eventual shutdown of the Australian car making industry, with some pundits tipping an earlier than scheduled closure. In one respect, this would be a good thing, bringing us the promised American and European metal earlier, but, of course, the downside is the situation of unemployed Aussie car workers. Out of this came a discussion as to whether we should consider changing to driving on the right side of the road. Predictably, this was howled down, as the argument became fragile when it was pointed out most European countries, such as the U.K., drive on the left. 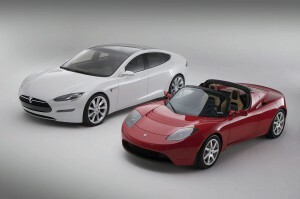 Electric car maker Tesla promised an expansion of their presence in Australia; with the first Australian deliveries taken by customers in December of 2014, the company announced that they would have a dealership in Melbourne and Brisbane, with a network of charging stations being set up along the eastern seaboard. With the stations designed to be independent of mains power by being solar charged, the company is looking to establish its technical cred. 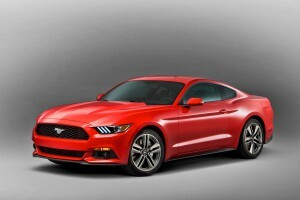 Ford’s Mustang returns to Australia, however, for the first time, in factory right hand drive form. 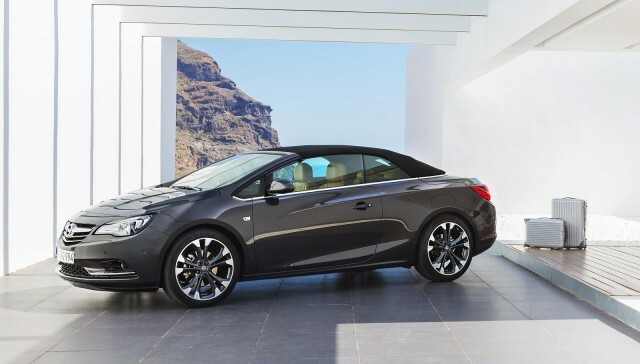 Powered by a range of engines, including a grunty turbocharged four cylinder (trust me, it’s nowhere near as bad as you think), presales here have been phenomenal. Holden has yet to confirm what we’re due to get, aside from sourcing at least three cars from Opel. On the Australian motorsport scene, a new category called Formula Four launches in the second half of the year whilst February sees the Bathurst 12 Hour get underway, with over 50 entries and including a huge international presence, going head to head with the test weekend for the relogoed V8 Supercars, on the same weekend, at Sydney Motorsport Park. There’s plenty more to come as the year ticks by and, as ever, Private Fleet is here to help you into your next car. 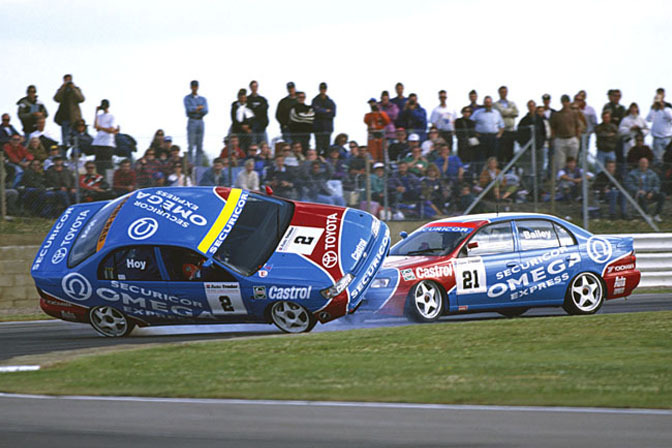 Welcome back one and all to ‘BTCC Memorable Drives’. My opening salvo into the memorable history of the Touring Cars took a delectable selection of moments and laid them out for your eyes to see. As this mini series moves on however, it is time to take a deeper look into some of these special moments, as chosen by you. The first of these is a moment that had passed me by for the many years I have spent watching the season reviews of years gone by. Let me take you back to 1993 and to Scottish soils; the scene of a weekend long battle royale. 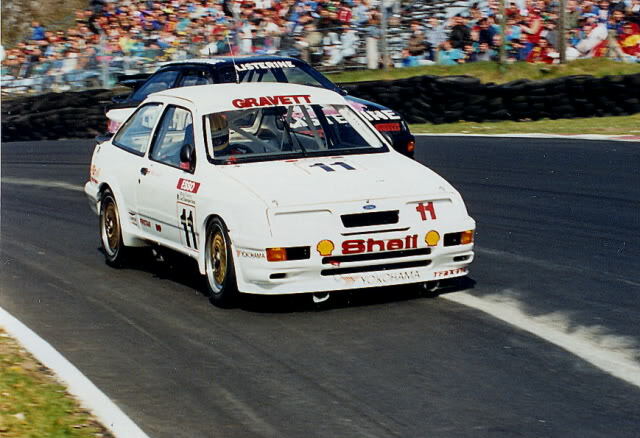 Knockhill played host to the 10th and 11th round of the 1993 Auto Trader RAC British Touring Car Championship. Up until this point, the 1993 season had been very much a BMW affair, with team mates Joachim Winklehock and Steve Soper sharing the spoils. It was only with the return of the mighty Ford team of Andy Rouse and Paul Radisich that a challenge presented itself to the BMW team. The round preceding Knockhill was the F1 support round at Silverstone which saw the Toyota team rocket into the commanding positions. They were leading the field comfortable until the moment where Julian Bailey made the unfortunate mistake of making a move on team mate Will Hoy which ended with him on his roof and off the track. Rather embarrassing if you ask me! So as Knockhill came around, it was important for Toyota and Bailey in particular to make amends in any way he could. I will go out on a limb here and say as the Knockhill weekend came to a close, he had nearly made up for his previous errors! Qualifying for the first race saw Bailey place his Toyota on pole, surprisingly alongside Patrick Watts in his distinctively coloured Mazda. Whatever happened behind was of little concern to John Cleland and Julian Bailey. Throughout the entire weekend they dominated the entire field. After an initial red flag brought out by various incidents in the field, the race started again to see Patrick Watts charging into a lead that was quickly taken by Julian Bailey and John Cleland. For the rest of the race, Bailey chased down Cleland and the two fought hammer and tong until the checkered flag. To the delight of the Scottish crowds, the win went to John Cleland followed closely by Julian Bailey. It was Cleland’s first race victory of the year and he could not have had a more popular win. Race two saw the battling pair continue their feud from race one, after Winklehock was forced to retire after a broken clutch. Behind Bailey and Cleland, Will Hoy managed to get past the persistent Patrick Watts and get into 3rd position by the end of the race. Almost as if to make up for not securing victory in race one, Bailey eventually got past the determined Cleland and took a commanding victory by the time the checkered flag dropped. 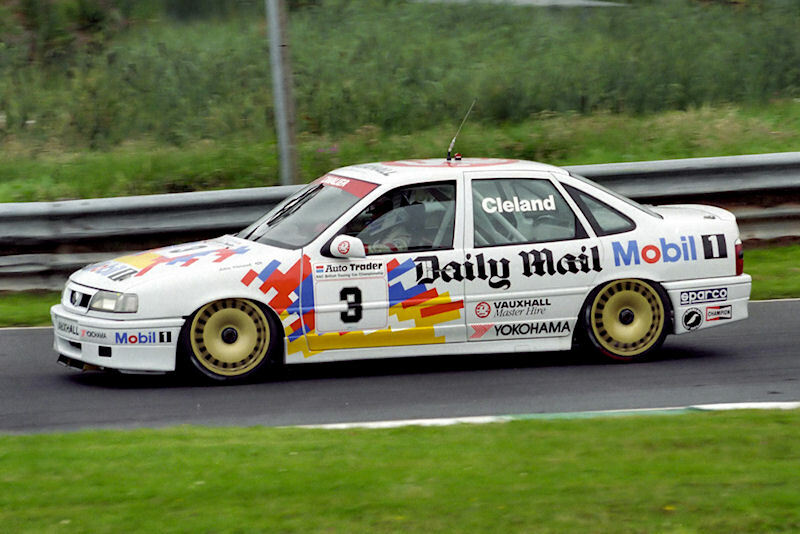 For many people, the Bailey-Cleland duel of Knockhill may be easily forgotten, but for me it has so many of the qualities that define not only the BTCC, nor even touring car racing, but motorsport in general. For both races at Knockhill, John Cleland and Julian Bailey managed to have a weekend long dog fight for ultimate victory without having to resort to dirty tactics. That is something rather rare in this day and age. My go to example on this is Giovanardi who has always decided that when he cannot overtake traditionally, he will simply spin the car in front out the way. Oh and on a completely unrelated note, which driver gained the most penalties and endorsements in the 2014 BTCC season? Let me remind you, the answer is in no way related to anything I have spoken about already..
Additionally, it was great to see two very different drivers in two very different cars having such a close fought battle. It’s a testament not only to touring car racing but to what made the 2.0 litre formula in the BTCC so very special. The regulations were devised in such a way that encouraged diversity but also extremely close racing. Finally, no one can forget the context in which this battle took place. British race circuits are a thing of beauty, and Knockhill is just one example of that. Knockhill has something that so many of the modern race tracks (I am looking at you Tilke) are just lacking; character. When you hear the name Knockhill, you think of the rise and falls, the twists and turns, the wind and the rain and the tight final hairpin. British race tracks are more than just pre-planned bits of tarmac; they come to life and have their own personality. I hope you enjoyed this latest issue of BTCC Memorable Drives! I shall return soon for more of the races, the seasons or even the incidents that define the worlds greatest touring car series. These are the moments; these are the drives of racing history. What other moments define the BTCC for you? 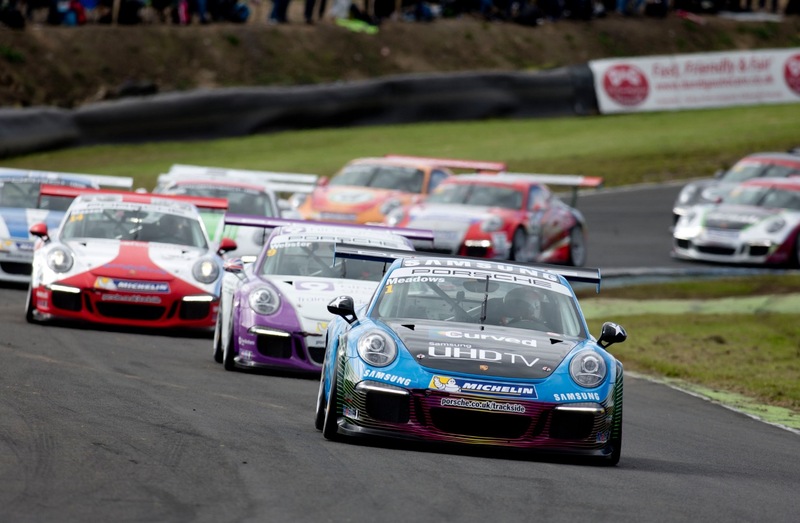 Porsche Carrera Cup GB 2015: A Return to Form? 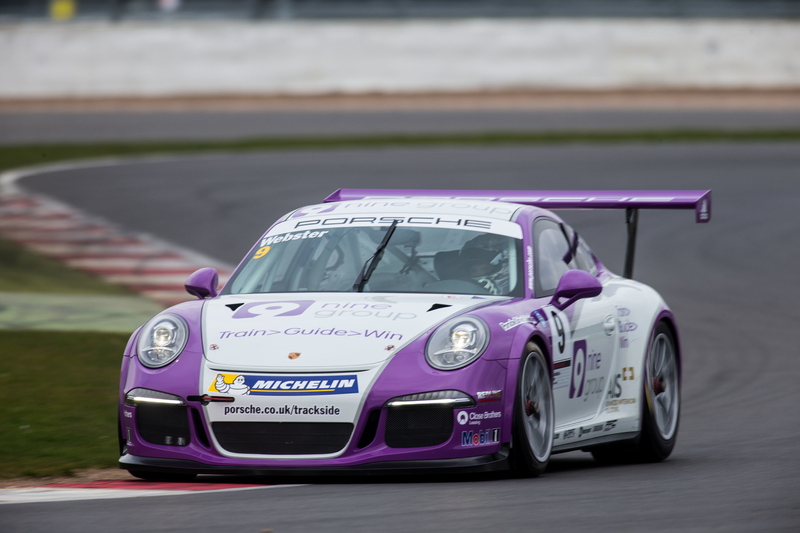 Since 2003, the Porsche Carrera Cup GB has become a staple succulent side dish to the mouth watering main course that is the British Touring Car Championship. As the fastest single-make GT series in the UK, the Porsche Carrera Cup GB has made a name for itself as a major stepping stone for drivers hoping to move into the glamorous world of international GT series. Some famous entrants include Tim Harvey (the current voice of BTCC on ITV4), newly signed WSR driver Sam Tordoff, Faithless singer Maxi Jazz and Porsche works driver Richard Westbrook. 2014 was a close fought championship that went down to the wire at Brands Hatch, but the series was beginning to suffer. But hope remains. After a change in championship regulations for 2015, new teams are flooding to the championship. The revised 2015 format has attracted a raft of new teams that are interested in taking up the Porsche challenge. Some of these new teams include Credit4Cars which will enter multiple cars led by Iain Dockerill and the highly experience G-Cat team (who have previously competed in various sports car and historic championships) who will provide cars for Peter and Shamus Jennings. This new wave of entrants comes at what I believe is a vital time for the championship. When the championship first started back in 2003, there were always packed grids and high-speed racing from first down to last. Some of my fondest memories include wheel to wheel racing between Richard Westbrook and Tim Harvey, while Maxi Jazz proved there was more to him than just music fighting it out in the midfield. However, my experiences in 2014 were somewhat less exciting. The central issue I believe was the severe lack of cars on the grid across the year. Technically speaking there were a total of 28 entries, although little over 9 actually competed in more than half the races in the season. On top of that, there felt like that were almost as many classes as there were cars, so there was no real competition. In many cases, after only a few laps the field had spread out to the point where races became processional and somewhat lackluster. I have always been a fan of multi-class racing such as that of the World Endurance Championship or even the classic BTCC of the 80s. It began to feel as if the Porsche Carrera Cup was nothing more than a filler to kill time before the BTCC. This is meant to be the premier single make GT series of the UK; it should not feel like that. Reading about the changes to the 2015 season and the resulting increase in entrants already has given me a brief glimmer of hope. With the ever increasing popularity returning to the BTCC, the television and race day audiences are growing, which will be nothing except attractive to potential teams. Not only that, 2015 sees a closer connection with the international Porsche Motorsport team, such as supporting the World Endurance Championship at Spa in May and the Porsche works drives for championship winners. Additionally, the new Rookie category allows younger drivers (between 17 and 24) to get behind the wheel of the monstrous rear-engined, 460 hp ‘Type 991’ Porsche 911 GT3 Cup car. As a starting point for a career in GT racing, there are not many other opportunities that match the caliber of this one. 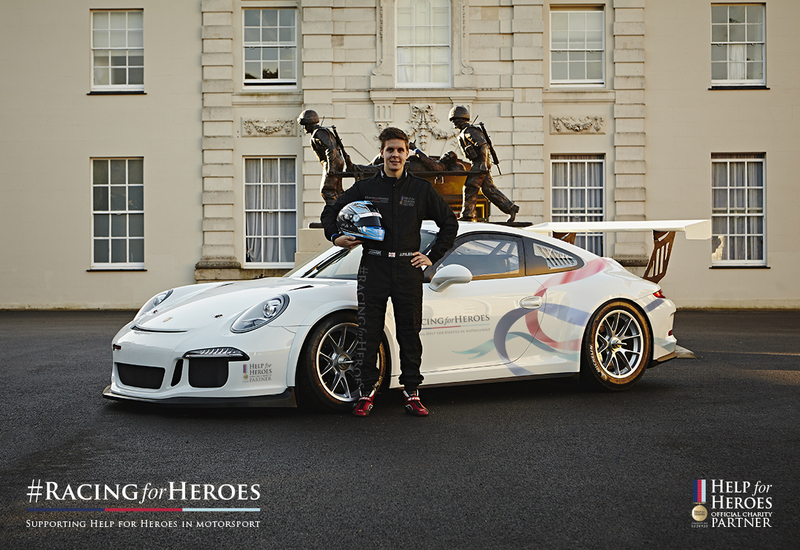 Although the full entry list will not be confirmed until the New Year, one of the definite new arrivals comes in the form of 2013 Renault Clio Cup Champion Josh Files, who races with the brand new team #RacingforHeroes; a team who are supporting our injured veterans through motorsport. Josh Webster will face a much tougher season in 2015, who will return to defend his 2014 title. The increased grid for 2015 should inject some fresh new energy back into the Porsche Carrera Cup GB, although I hope the increased number of race categories does not result in less competition between drivers. Perhaps the future could see a reduction in categories to simply Pro and Rookie, to truly make the most of these amazing cars. The TOCA package has become the best race series across Europe with top class drivers competing at the highest standard. The new look 2015 Porsche Carrera Cup GB should do nothing but emphasise this quality. After a slightly disappointing 2014, it is time for the Porsche Cup to return to form. Home grown talent competing alongside international names such as Gelzinis and Jimenez will make for a truly great year. Now if only April would hurry along! As the depths of winter begin to tighten its cruel grip, the great motorsport machine must go into hibernation until the Spring. The race tracks may have fallen silent, the crowds may have returned to their homes, but the racing world is anything but silent. As the colossal roar of the engines lay dormant, the media world ignites in with fierce intensity. 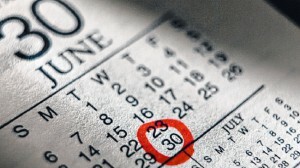 The close season is a time of rumour, conjecture and long-awaited announcements. For the BTCC, there have already been a string of news updates regarding the 2015 season, including new teams, new drivers and possibly even new tracks. 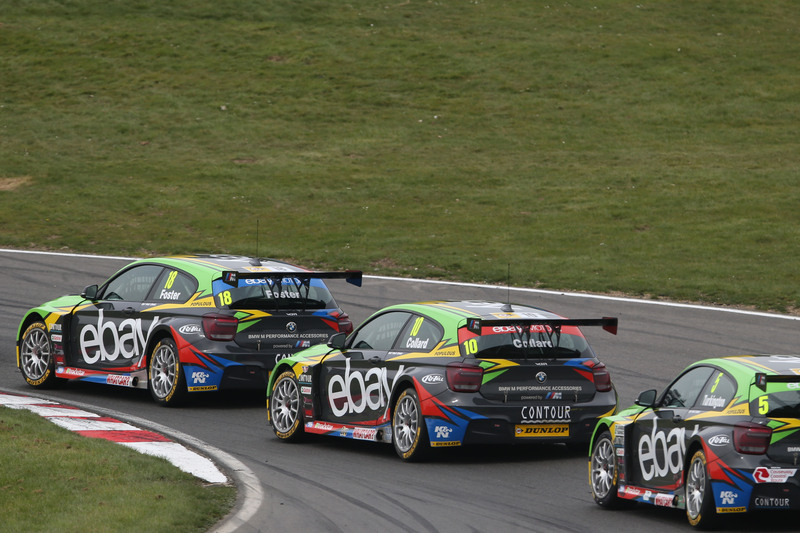 The most recent headline to hit the virtual shelves has been the sad announcement from West Surrey Racing that their title sponsor eBay has decided to end its 5-year partnership with the team. 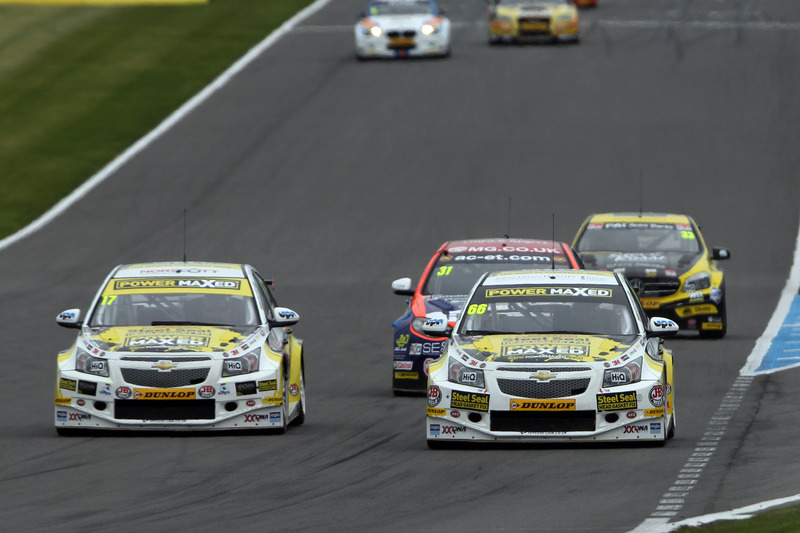 This follows the news from the Motorbase ranks that came at the close of the 2014 season, which saw the end of their sponsorship from Airwaves. Within the motosport auto-verse, sponsorship is one of the most vital aspects of the entire enterprise. It really is much more than a fancy logo on the side of your car. 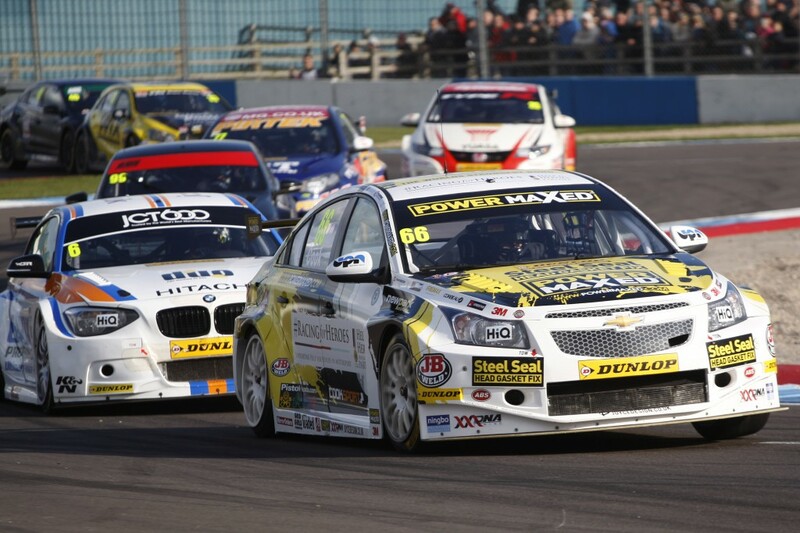 The ‘BTCC Sponsorship Game’ is a game with very few rules but one clear aim; get the money in the bank. To many people (including me in my younger years). sponsorship in motorsport was nothing more than the name and logo on the side of a car, as well as the explanation as to why I kept seeing big name racing drivers appearing in adverts for said company. I am pretty sure that Jenson Button would not voluntarily want to appear in a Santander advert unless it was a contractual obligation. With all these adverts and media prostitution by the F1 drivers especially, is it any surprise that Lewis Hamilton moved to Mercedes whose sponsors strangely do not use the ‘F1 fast car’ angle in their advertising. But I digress. Getting a sponsor in motorsport is probably the single most important thing to the success of the team. It is very much as the same as completing a PhD; one can either attempt to fund it themselves or find someone to sponsor them, for something in return. I know which I would prefer. Well, depending on what I had to do in return of course. Without the money, you cannot even make it to events, let alone develop the car to make it into a race winner. 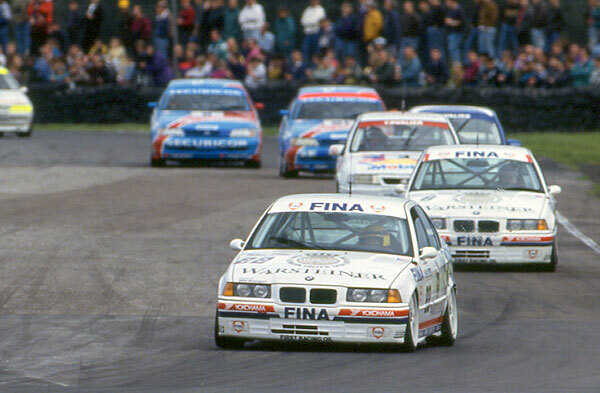 Within the BTCC, the sponsorship problem was even apparent in the late 80s before the exponential rise in costs at the dawn of the Super Touring era. The example of Robb Gravett in 1990 proves that even the top teams can suffer the unbridled wrath of financial woes. In Class A, it was a straight fight between Andy Rouse and Robb Gravett; however Robb and his Trackstar team nearly had to pull out due to a lack of sponsors for the car. Luckily, a last minute deal was made and a sponsor was found. The result was Robb Gravett taking not only Class victory but overall victory in the championship. 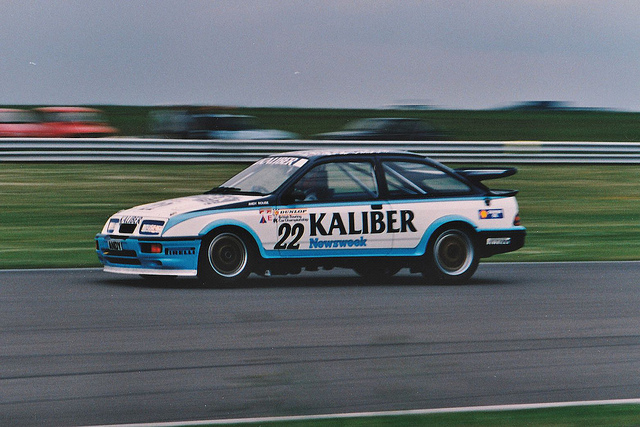 As the years went on, the sponsor of certain teams became the more prominent name associated with the team, including the Kaliber Sierras, Vodafone Nissan, the Rapid Fit (and most recently Airwaves) Fords, the KX Momentum Tesco Clubcard (or whatever their ridiculously long name happens to be) MGs and of course the eBay BMWs. If you compare the car liveries from the 1990s and the modern championship, it would not take long to notice that these days the cars are more heavily covered in sponsors than they were in the 1990s. Money; it was always going to be about money. 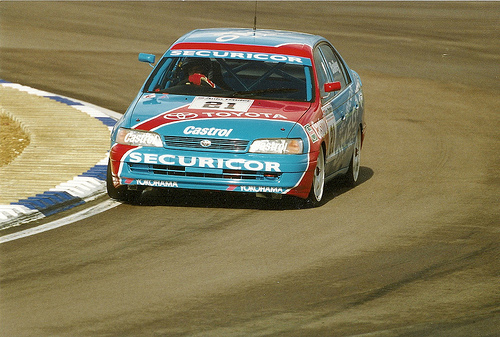 Towards the end of the 1990s, the factory support was so substantial that sponsors did not hold such a high priority. As I sit here watching the 1998 BTCC review, one of the things you notice is teams such as Ford, Audi, Honda and Volvo are an almost factory-livery whitewash. The same explanation can be used to explain the looks of cars today and in fact back in the 80s with the era of multi-class racing; most teams are running from what is essentially an independent backing so must therefore display their sponsors who are near funding the entire operation. 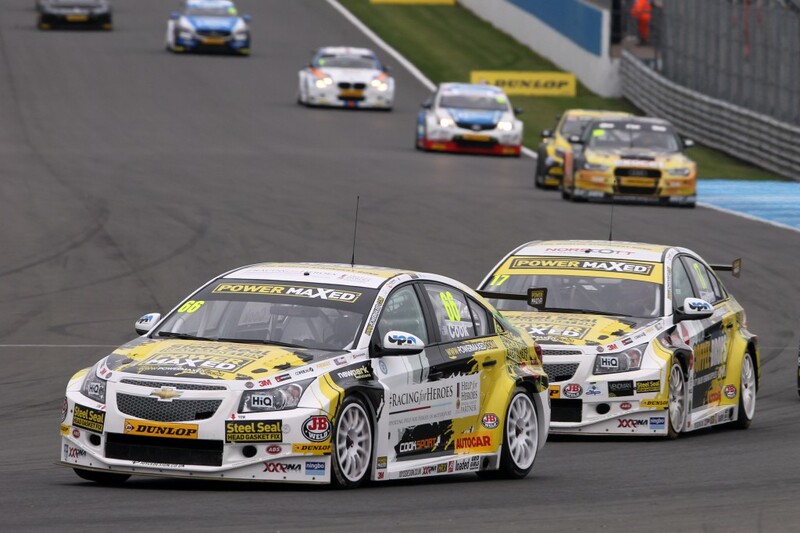 In more recent years, there has been a significant intertwining of the sponsorship game with that of BTCC politics. The best example I can muster happens to be something contemporary. Among the ‘old timers’ in the current crop of drivers, it would be hard to ignore the name Jason Plato as somewhat of a legend in the championship. He has worked his way up from his Renault days in the 90s, to winning the 2001 championship, taking a break to become a television personality before returning once more to compete in the BTCC. As a known media name and two time championship winner, Jason Plato now carries a considerable weight when it comes to potential sponsors. For the most part, sponsors are attached to entire teams unless of course you are a high profile driver that is. In the case of Mr Plato, he carries with him his own sponsors that will follow him to the team he drives for. It is at this point where everything begins to get a little on the complicated side. As much as Plato does have his own set of sponsors, they are not totally promiscuous customers; they will not settle for just anyone. This explains why statements released by Jason Plato have presented a message of uncertainty regarding team choice for next year, if he will even compete next year at all. It is with no doubt that he would get an absolute flood of offers from almost every team on the grid (apart from Honda, a team where a mutual feeling of mistrust and dislike is present), but until there is a team that the sponsors are happy with he cannot settle. The likelihood is that Plato will join forces with WSR, who have of course just lost their eBay as their title sponsor. Plato is one of the names associated not only with the KX Academy, but Tesco Clubcard Fuelsave (whatever it is) so his move to WSR would most definitely fill the eBay shaped void. His sponsors will be looking for a high profile team for him to move to, so as to make them look as good as possible. What better place to move to than the current championship winning team? How beautifully ironic would it be for Plato to move to WSR and into a BMW, a car that he often complained about in 2014 for having RWD? Bets on him complaining that the new first gear ratio be changed back again? However, if Plato moved to WSR he may want to bring the KX Academy drivers along with him, which might then force WSR to get rid of their current drivers. Can a deal be made? Will it even happen? All very complicated really. As I write this, a statement has been issued by Colin Turkington that says with the departure of eBay from WSR, it makes his inclusion in the team difficult and as a result he is looking for drives with other people. This is a similar situation to 2009 where RAC pulled out the championship following his championship victory. He was then left without a drive until 2013 when he returned with eBay motors. This may suggest that with both eBay and RAC, they were giving him direct backing instead of the team itself, so with the departure of these sponsors he was left without the funds to compete in the championship. Speaking hypothetically, with the eBay departure it may now have indeed paved the way for Plato and KX to move in on WSR leaving Turkington without a drive. One of the true annoyances of the silly season (as is now becoming desperately clear) is the rise of rumour and conjecture. Everything I have suggested may be spot on, or it may be a complete fabrication. When there are only brief statements to work with, the conclusions can never be considered concrete. What is the future for Plato and KX Momentum/Tesco? 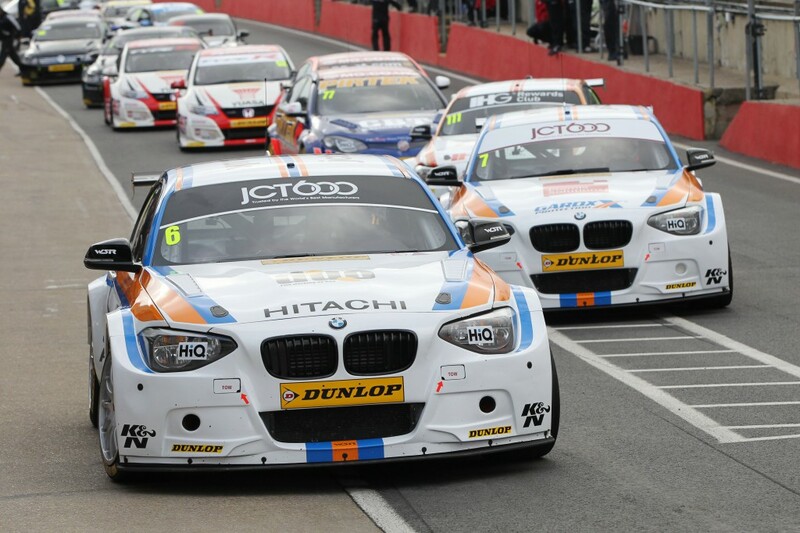 Does Turkington need a big name sponsor to be able to race? Does he need to follow Plato’s route and establish specific driver-sponsors for himself? Why Sponsor a BTCC Team Anyway? People have often wondered why you would want to sponsor a team in the first place; is it not just a drain on money? The obvious answer to that question is market exposure; if you have your brand name on the side of a car in a successful and well-covered championship the result can only have a good effect on potential customers. What is always really helpful is when you happen to be sponsoring a car that is a proven race and championship winner. 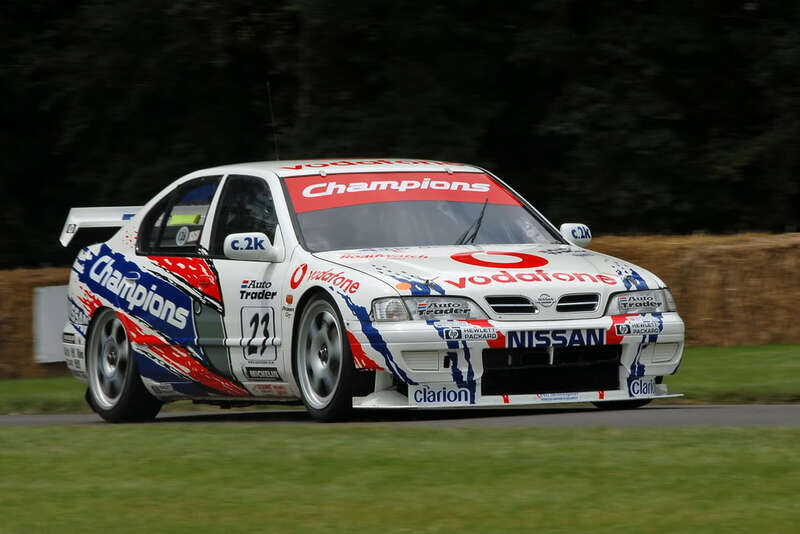 Vodafone have always enjoyed such luxuries in their previous support of McLaren in F1 and the Nissan team in the 98/99 BTCC season. In addition to this, you can build the race team into your company’s advertising as well as tapping into the legions of loyal race fans. Airwaves were always good at bringing in their BTCC involvement into their advertising, using the BTCC Ford of Mat Jackson to show how much of a ‘kick’ Airwaves can give you, even when you are stuck in traffic on the way to work. At the end of the day, most people love a good race car so it would be silly for companies to ignore this obvious advertising route if they have the joy of sponsoring a team in the best championship in Europe. As well as the benefits in the public sector, there are obvious corporate benefits when sponsoring a race team. If you happen to be needing to impress potential clients, is there any better way to do so than make them VIP guests of a BTCC race team; meet the drivers, fancy hospitality and general schmoozing sounds like the perfect method to me! Most importantly, sponsors get a direct involvement with a race team; they get to experience the thrills of the sport from the inside. The exciting narrative that is a BTCC season; the highs, the lows, the shocks, the thrills and potential glory all made more personal to those who have invested. When you play most games, you have a clear idea of the rules and the overall objective. 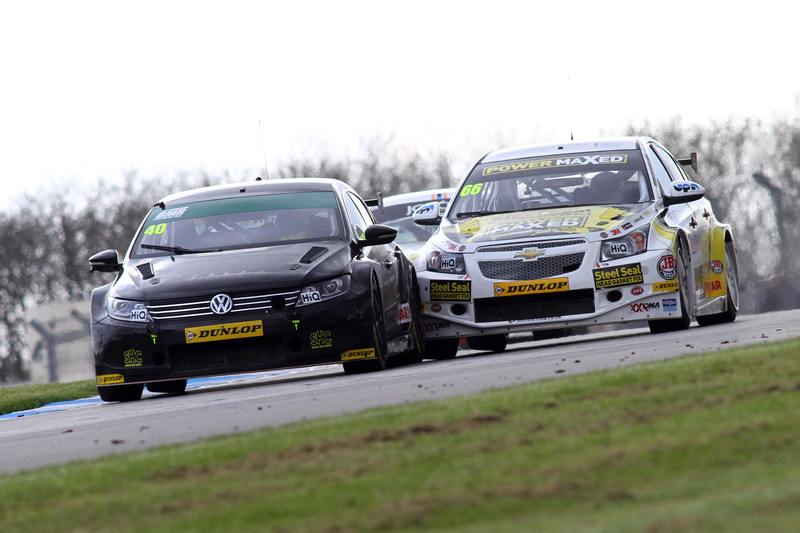 In the case of ‘The BTCC Sponsorship Game’ the only rule is that there are no rules, and the objective is simple. You want the sponsors to sign on the dotted line and the money in the bank. Along the way you will encounter some obstacles in the form of political decisions and clever movements, but at the end of the day you want more business for your company. It will involve some clever branding, advertising and even some corporate schmoozing, but at the end of the day, it is all worth it. And as a motorsport fan, I am very grateful for this. We bow down to you, great sponsors. You make my passion possible! 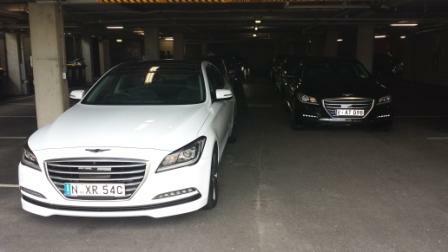 I was fortunate enough to be one of the drive team for the launch of a new entrant into the luxury car field, the Hyundai Genesis. 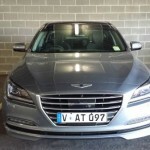 Yes, Hyundai Genesis. 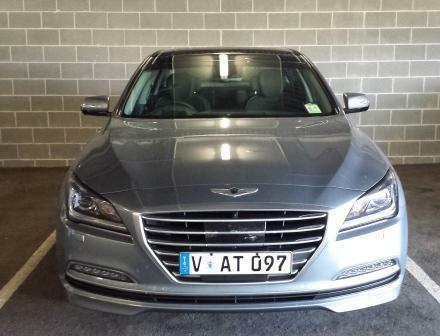 Don’t laugh because you’ve read Hyundai and luxury car in the same sentence, it is a remarkably well engineered, thought out and produced vehicle, topping out at just $82000. 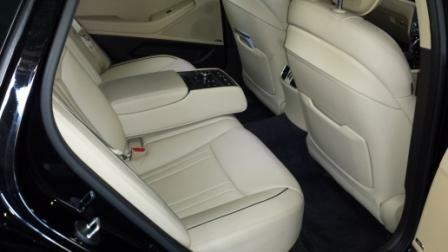 It’s a big car with a massive interior, thanks to a 5 metre length and 3 metre wheelbase. There’s design elements for the exterior reminiscent of some other brands, with the front being commented on most as being Aston Martin. 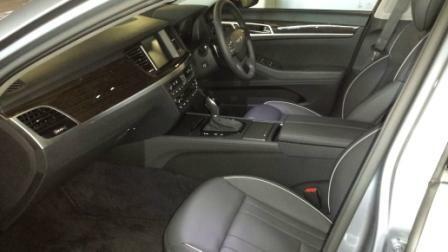 That’s perhaps due to the winged emblem front and centre on the panel edge leading into the bonnet. There’s only one indication of who the maker is, with the Hyundai H on the bootlid. There’s three models in the range, starting in the mid $60K bracket, with the Sensory and Ultimate pack offerings being the trio. The leading edge is an upright, bluff looking part of the car, sweeping over a long bonnet (housing the 3.8L V6, 232 kW/397 Nm powerplant) into an almost coupe like roofline before tapering off into a a short tail housing a good sized boot. It’s a cohesive and handsome design. 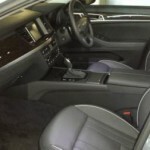 The interior is a reflection of the outside, with deeply sculpted seats front and rear, with heating and cooling for the front, heating in the rear, full electric adjustment for driver and passenger plus memory seating, electric sunblind for the rear window, photochromatic glass for the sunroof and heated wing mirrors (which dip when reverse is selected). 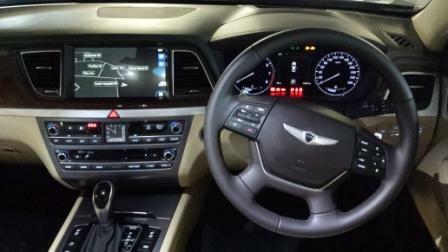 There’s adaptive cruise control to play with; think an extension of cruise control which merely has you travel at a preset speed, this uses a camera to track the vehicle in front to keep the Genesis at a set time gap (one to four seconds) behind the vehicle in front and will bring the Genesis to a stop at velocities up to 80 km/h. 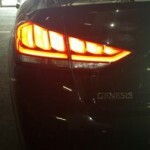 Over that, Genesis expects the human factor to come into play and steer the car out of trouble. There’s four other cameras as well; front, rear, with two in the side mirrors that will display a 360 degree view on the 9.2 inch 720p display screen, plus offer a choice of four angles front/side/rear. A downlight is the switchgear; although smartly and simply laid out, they lack the luxury look and feel expected, being of typical high quality but hard set Hyundai plastic; there’s also a harsh feeling pocket on the rear of the front seats, devoid of the same velour lining found in the door pockets and soft open/close clamshell centre console locker. The “entry level” Genesis gets plenty of tech such as Hill Start Assist, tyre pressure monitoring, the afore mentioned smart cruise control with the Sensory throwing in Head Up Display, rear cross traffic alert, the around view monitoring system and powered steering column whilst the Ultimate gets the panoramic glass sunroof, the sound proofed acoustic glass and more. 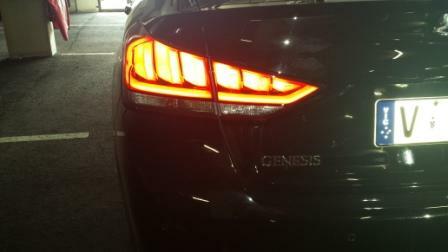 A nice touch is a LED light that shines the Genesis logo from each wing mirror to the ground. 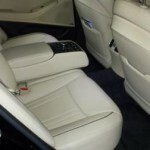 There’s audio controls and front passenger seat controls in a fold down section in the rear seat, allowing those that prefer to be driven rather than drive themselves to move the seat for room and choose their own music. 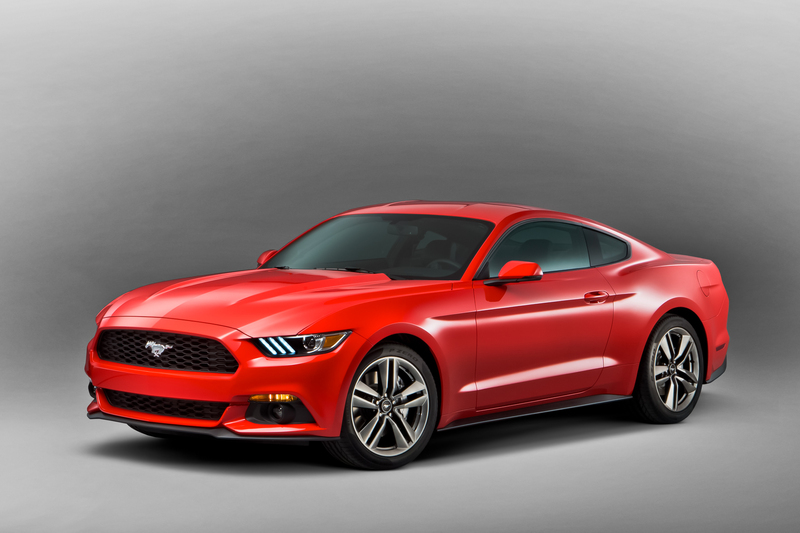 Both features are lockable via the menu system activated from the steering wheel buttons. The eight speed transmission is Hyundai’s; smooth, fluid, seamless, imperceptible in gear changes unless the right foot is a heavy one. There’s a snarl from the front through the induction system but barely an exhaust note, thanks to the high level of exterior noise insulation. It will accelerate nicely, thank you muchly, with an almost double clutch feel to the changes when really pressed…again it’s a seamless transition with no sign of hesitation. On the roads chosen for the demonstration drives, a good mix of flat and straight roads versus speed humps and tight corners plus a few roundabouts, the Genesis is composed, compliant with a feel stopping short of sporty without compromising the comfort level of the ride. Variable ratio steering tightens up the turning, surprising many in the drive sessions with just how compact a turning circle the Genesis displays. Fuel consumption is quoted as 11.2L/100 km combined, with some urban legs about 13L/100 km. This is not unexpected and will trouble those only of the penny pinching persuasion. 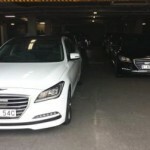 Hyundai says the target market is the affluent, professional style aged from 40 to 60; certainly the Genesis garnered plenty of attention, with the test cars in while, black, blue, silver and grey catching the eyes of many as we drove in convoy. A big thanks to Ian Luff’s Drive to Survive group for having me involved. As we surge forward into the vast unknown that is the future, cars are becoming increasingly more safe, secure and simple. Many may complain that the modern obsession with health and safety is beginning to dictate our lives, but it does mean that the universal driving experience can begin to improve in the knowledge that we can place trust in our motoring machines as we surge on down the road ahead. And if that wasn’t enough, the development of alternate fuels such as electricity, solar or even hydrogen power is making the world of driving more efficient and eco-friendly. 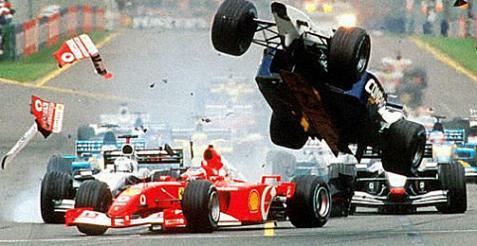 There is however but one problem; one unstoppable force of nature that not even the most modern of cars can stop. What is this juggernaut? Well, what I really should be asking there is who, not what; the problem is not with the machinery, but with us. Human beings are very much like computers, just a bit more squidgy and blood filled. I am sure we have all been in a position where we have been working away on a computer and suddenly we are confronted by either a frozen screen, blue screen of death or an unfathomable error message, all of which renders the computer almost totally useless. This sudden malfunction in the usual harmonic running is not only limited to the machine world. As humans we are often find our bodies malfunctioning on us for a reason that lacks both logic and sense. The worst of these of course is the spontaneous sick, where you are going about your daily life and suddenly you find yourself throwing up a little bit in your mouth. And of course one cannot forget the sneeze that sends your entire body into a spasm and you lose all sense of time, space and self for that split second. It would be oh so much easier if, like a computer, we were able to reboot our system to erase the system. Alas, we are stuck with these malfunctions for life. …and yet we are allowed to drive cars? Crazy. Imagine with me if you will your every day driving scenario. Let us say that you are on the way to visit your parents, and you find yourself driving along a motorway. As it always does, your journey is running smoothly and the traffic is light. Your personalised CD blares out as you belt out your favourite tunes. But then, out of nowhere it strikes you. The deadliest menace to the modern driver; the sneeze. Past experiences would tell you that there is nothing to worry about; a sneeze takes but a second. And yet the driving sneeze seems to shock you out of time and space itself. I could not tell you the amount of times I have sneezed and managed to have crossed into another lane. And then there was the time I sneezed, opened my eyes and found I had pulled off the motorway, parked at a service station and ordered myself a full steak dinner. Seriously, you have to watch those sneezes. Crazy things, those sneezes yo. 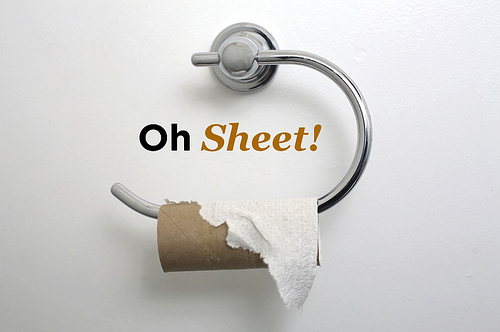 All this… caused by a sneeze! One of the key pieces of road safety advice usually concerns the risks of driving when tired. ‘Dont drive tired, pull over and take a nap’ is usually the general idea. But we have all been there, that time when you really have to get somewhere and don’t really have those few hours to spare to be napping. There can only be one solution, throw caution to the wind and a mountain of coffee into your system. The epic caffeine rush will provide the alertness you need to push you on through to your final destination. There is only flaw in this otherwise perfect plan, which is a complete and catastrophic overestimation of your own bladder. Tiredness is no longer the issue but an absolute chronic urge to pee. But you have already wasted time stopping to buy a coffee at the service station, do you really want to waste more of your precious time pulling over to pee? Your stout ignorance of your own discomfort forces you to resist the urge until you reach your final destination. You may think you have conquered your bladder through a wealth experience and finding a comfortable position to not move from. But of course we all underestimate the power of the bump in the road; every bump targets your now bean-bag like bladder. Just to rub in your suffering, it is always the case that you have chosen the single bumpiest road every created by the hand of man in all history. Even driving over a single atomic particle feels like a direct punch to the bladder. That nap really is looking rather good now wouldn’t you say? Why do we do this to ourselves? To paraphrase the great prophets Goldie Lookin Chain, “Cars don’t kill people, drivers do”. There is absolutely nothing wrong with the cars we are driving, they are but angelic creations of loveliness in comparison to the demonic insanity that is the human presence behind the wheel. It is safe to say that it is our spontaneous malfunctions that make us so special, but why we are allowed to drive I will never know.